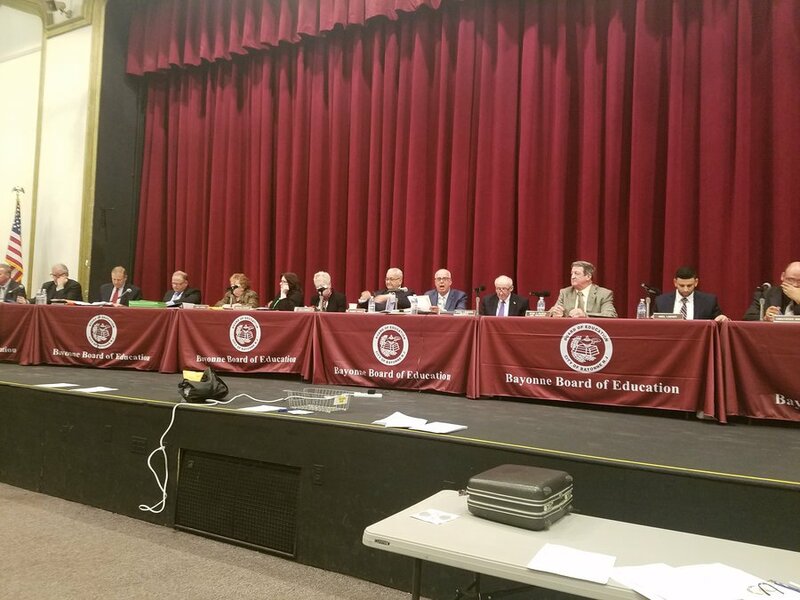 Amid the ongoing controversy over the school board’s $2 million deficit, rumors have been circulating about the premature departure of Bayonne Superintendent of Schools Patricia McGeehan. At press time, Monday, December 19, the rumors could not be confirmed. A Board of Education meeting was scheduled for the evening of December 19. In June, the board voted not to renew her contract. Meanwhile, the board held an emergency meeting on December 14 during which they voted for a resolution to use money from Regular Operating District (ROD) grant funds to make up the $2 million deficit in last year’s operating budget. Board President Joseph Broderick called the move a “necessity,” in the face of an “extremely high budget crisis.” The resolution passed 7-2, with Ava Finnerty and Christopher Munoz dissenting. Finnerty said board members were not given sufficient information to know about this deficit when they voted on the budget. “Information was out there, but wasn’t really given to us in a very direct fashion,” she said. With the board proceeding with a plan to plug the deficit with ROD grant money, outraged teachers and parents voiced their desire for those responsible to be disciplined. Local and state politicians seem to be searching for answers, too. Alan D’Angelo, president of the Bayonne Teachers Association (BTA) was as perturbed as teachers and parents. He criticized the creation of the academies and their afterschool program, though it generates revenue. “The academy is a great asset to the school system,” said D’Angelo. “But you’re expanding these programs when you have a deficit. That’s poor management. He said teachers are “fed up” with the contract situation. “I don’t know how they went this far,” he said.